Often as children, our best friends are considered as close as family. They’re the ones we share everything with- both the good and bad- and they’re the ones who stand by us, and us by them, through difficult and joyous times. Few people can claim that their best friend, despite having no blood connection, is their sister, and truly mean it. But Rosie and Nona have that distinction. They are yapas- and although Rosie is white and Nona is Aboriginal, they have strong family connections that tie them for life. Practically inseparable, Rosie and Nona do everything together in the small Yolŋu community of Yirrkala, including fishing, hunting and participating in special traditions and rites. Skin colour doesn’t matter and everyone is connected. Then, at the age of nine, Nona moves away- a family tragedy has occurred and the dynamics have changed. Rosie, now on her own, has to make new friends and learn to assimilate with her white classmates in the nearby mining town, all while still living twenty minutes away in the comparatively ramshackle community of Yirrkala. Although she eventually manages to find her place in this new world, she finds her connection to the community has grown weaker without Nona there. Years pass, things change, and soon Rosie is in Year 10. She and her other ‘loner’ friend Anya have befriended the glamorous former Sydney-sider Selena and the trio spend their downtime at the local pool or at Selena’s relatively modern and stylish home. While at these places, Rosie can’t help but notice Nick, Selena’s gorgeous older brother, and is surprised and flattered when she finds that he is just as interested in her. Meanwhile, Rosie is amazed when Nona shows up at school one day, having returned from Elcho Island. Although she has missed her friend and sister over the years, they have barely kept in contact, and Rosie isn’t sure how to proceed in closing the gap of time between them. She is also wary of mixing her old life with her new, knowing Selena and her family have a subtly racist view of the Yolŋu people, due to lack of understanding and past negative experiences. Already in a difficult position, matters are made worse for Rosie when political announcements are made regarding Aboriginal communities, land rights and the NT intervention- further dividing the Aboriginal community and the mining town. Amid protests and job losses, the community suffers a huge blow, especially when something tragic happens as a result of the government’s new regulations. With most of the people she loves suffering from the repercussions, Rosie feels torn. While she wants desperately to fit in with her town friends, she is still strongly linked to the community of Yirrkala. Will she align herself with her family and community on this matter? Or do the opinions of her new boyfriend and school friends mean more to her? 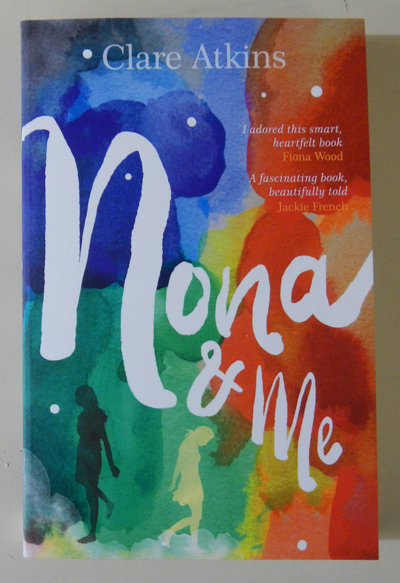 This debut novel touches on a lot of important topics, many of which extend further than the small Arnhem Land community that the book is set in. As a result of this, many schools have adopted this novel, giving students the opportunity to focus on issues such as racism, cultural difference, personal growth and finding a sense of identity. All of the characters are well-rounded and believable, and readers can easily identify with Rosie as she deals with the discomfort of the political situation, and her sense of disconnection with various people in the story. Using flashbacks to highlight the strong history between Rosie, Nona, and their families, the author is able to show just how deeply the community ties run, and teach important lessons about an Aboriginal culture that few people know about. This novel is raw, well-written, and a great study of Australian life in a remote location, without harping on or feeling too preachy about various racial and familial issues. I highly recommend it.